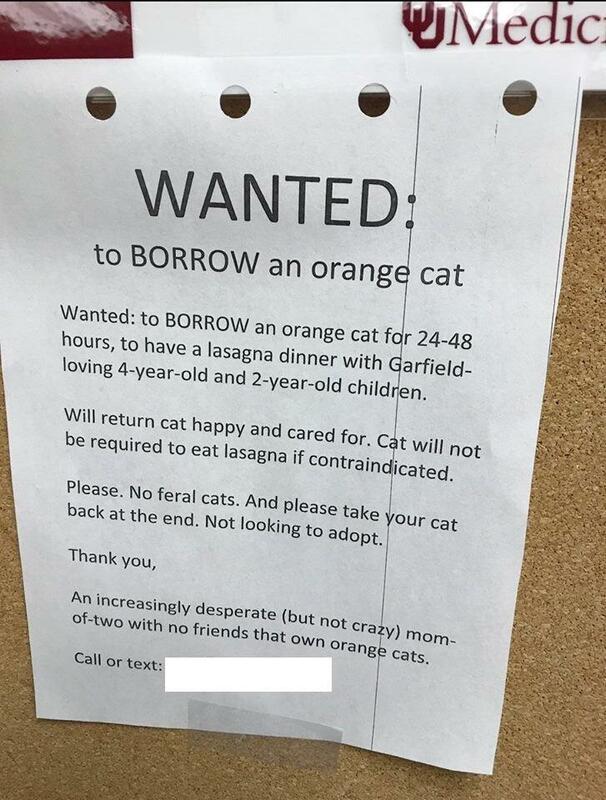 That’s exactly what a mom from Oklahoma City did, posting her plea on Reddit to “borrow an orange cat” to play Garfield for her 4-year-old and 2-year-old children. Those responding to her post were not entirely helpful, instead diverting the conversation toward discussions of gingers and analyzing Garfield. It is unknown as to whether or not she has had her request filled.